It continuously pinpoints sounds to block while automatically responding to individual fit and music playback. • Beats Studio3 Wireless headphones. 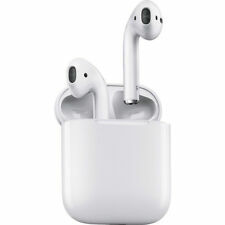 Apple W1 chip for Class 1 Wireless Bluetooth® connectivity and battery efficiency. copped these brand new beats for a steal and fell in love with them as soon as they touched my ear thank you gold star!! can’t wait to do more business in the future! They are not recognized by my MacBook or iPhone. They work but do not come up the connected screen showing the headphone on device like my other ones. Look pretty legit but cheaper feel than real ones. They were cheap and shipped fast. But sound is not the best and quality as it should be. In the future pay the extra for real ones My whole family has their own pair and I now have cheap ones. you can feel and hear the difference. They are great headphones. This is my second pair of over the ear headphones and i can tell you that you get what you pay for on all fronts. I used these headphones traveling out of the country and i was very pleased with everything. I will say that the only thing is that for the noise cancelling to work they have to really hug my head to get the noise cancelling to work. Fit, feel, and sound are great!! !